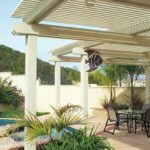 Patio roofs, pergolas, and gazebos offer shelter and a sense of enclosure outdoors. In doing so, they offer us a place to entertain friends, gather in the shade, or just enjoy a little private relaxation. 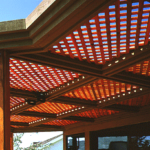 Beyond these functional purposes, patio roofs and gazebos can enhance the beauty and value of our home’s property. Patio roofs, for example, can visually extend rooms into the yard and offer cover or shade, effectively creating an outdoor living room. 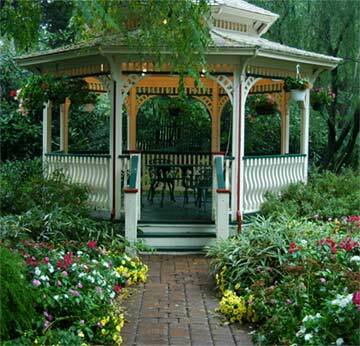 Gazebos can become a dynamic focal point in your landscape plan, inviting guests to explore, converse, and relax. 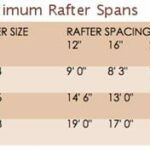 In this section of HomeTips, you will find extensive help with planning, buying, and building patio roofs, gazebos, pergolas, and other outdoor shelters.